I am part of the NC PACES Act team that provided advice to the State of North Carolina about enacting our new state crowdfunding law called the NC PACES Act. Below is a link to some FAQs I wrote that summarize the resulting North Carolina crowdfunding statute that was enacted in July 2016. There have also been some proposed changes to SEC Rule 147 which are important to allow more businesses to use state Crowdfunding laws, and these are also summarized in the post. 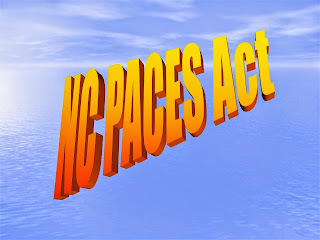 Click here to see my NC PACES Act FAQs post on my blog. 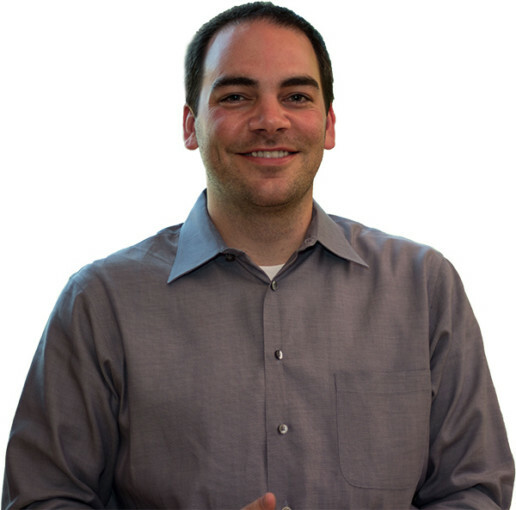 Jim is an attorney with Ward and Smith PA. You can reach Jim at JFV@WardandSmith.com. Jim writes a column about business and law for American Business Journals. You can purchase his book Crowdfunding Opportunities and Challenges at Amazon. The NC PACES Act, “Providing Access to Capital for Entrepreneurs and Small Business”, was signed into law today by Governor Pat McCrory. The bill passed both the NC Senate and NC House by unanimous votes during the short session, and North Carolina now joins over 30 other states that have passed similar laws. The NC PACES Act enables a new way to finance startups and small businesses in our state known as investment crowdfunding. at the signing of the NC PACES Act investment crowdfunding bill. The creation and passage of the NC PACES Act investment crowdfunding exemption was a team effort by the General Assembly, the NC Secretary of State Securities Division, the NC Commerce Department, the Governor’s office, and our North Carolina startup community and small business supporters. The bill was originally co-authored by former Representative Tom Murry, and the now retired head of the Securities Division David Massey, and was at the time known as the NC JOBS Act. This exemption became a model piece of legislation that was used as the basis for many of the crowdfunding exemptions passed in other states. Many thanks are due to Tom and David for creating this groundbreaking securities law concept which is now helping to finance small businesses and create jobs all over the country. 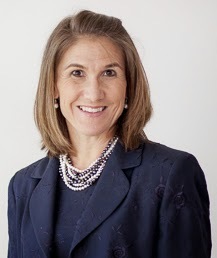 The bill was then brought to the Senate with some enhancements by chief sponsor Senator Tamara Barringer, and became known as the NC PACES Act. 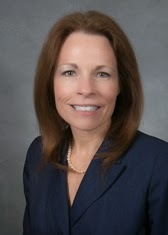 We are grateful to Senator Barringer for her hard work and advocacy for the bill. We would also like to thank all of those in the executive branch who supported and advocated for the bill, including Governor McCrory, Lieutenant Governor Forest, Secretary of State Marshall, Commerce Secretary Skvarla, and their staffs including Mike Arnold, Kevin Harrington, Ashley Jones, John Hardin, and all those who contributed to the effort. On the legislative side we would like to thank the other chief sponsors of the bill including Senator Gunn and Senator Hise, and Representative Shepard and Representative Hastings and their staffs. In addition, NC Congressman Patrick McHenry, who created the federal JOBS Act, also supported our efforts. We would also like to thank the local press that provided balanced coverage of the bill and its importance to North Carolina small business over the last several legislative sessions: Rick Smith of WRALTechwire, Laura Baverman of exitevent.com, Lauren Ohnesorge of Triangle Business Journal, and Mark Binker of WRAL. When we work as a team, good things happen. Thanks to all for your efforts. The passage of the NC PACES Act investment crowdfunding exemption bill has been in the news in our local press in the Triangle. The Governor is expected to sign the bill shortly. WRAL Techwire has a post on NC Secretary of State Praises Crowdfunding Bill, and another one on NC's Crowdfunding Law: What it means, an Attorney's View. Triangle Business Journal reports NC PACES is Headed to the Governor's Desk. The News and Observer has a post on NC Crowdfunding Law would provide a new way for companies to raise capital. 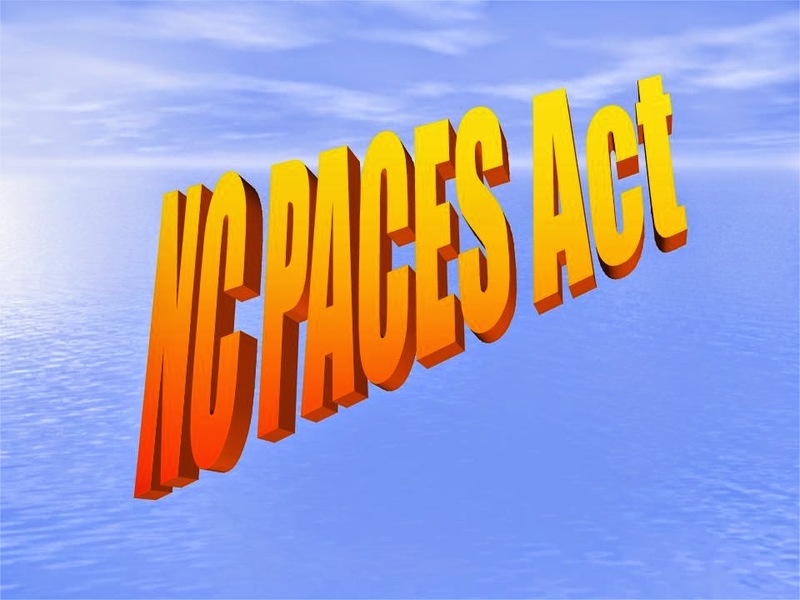 The NC PACES Act: “Providing Access to Capital for Entrepreneurs and Small Business” has been passed by the NC House by a vote of 114 to 0, the NC Senate by a vote of 49 to 0, and is now headed to Governor McCrory for his signature. After 3.5 years in the making, intrastate investment crowdfunding is finally coming to North Carolina! A North Carolina business will be able to raise up to $1 million in any 12-month period (or up to $2 million with audited or reviewed financial statements) from investors who are North Carolina residents. There are no wealth or income limitations on who can invest; however, investors who are not “accredited” may only invest $5,000 in a particular venture in any 12-month period. Companies will be permitted to promote the offering publicly, after filing a notice (as well as substantive disclosures) with the Securities Division of the North Carolina Secretary of State. A fee of $150 will also be charged. Companies are required to communicate in writing the business plan, financials, use of funds, and risks of the offering. Investors are required to certify in writing at the time of sale that they understand the risks of purchasing unregistered securities and that they may lose their entire investment. Companies may (but are not required to) use a professional crowdfunding intermediary that meets the requirements established by NC PACES and related rules. They are required to establish an escrow to hold funds prior to closing. Companies that issue securities under NC PACES will be obligated to provide quarterly reports to investors discussing management compensation, operating results, and financial condition, etc. Companies can start gathering materials, preparing disclosures, and consulting advisors now. However, you will not be able to formally pursue investors under NC PACES until the Securities Division of the North Carolina Secretary of State’s office adopts specific rules to implement the provisions of the Act. The Secretary of State’s office has played a critical role in formulating this exemption and, although the law gives it a 12-month period to act, hopefully, it will give implementation of these rules highest priority. There are some details to iron out so stay tuned here for more updates. The content contained on this blog does not provide, and should not be relied upon as, legal advice. It does not convey an offer to represent you or an attorney-client relationship. All uses of the content contained in this blog, other than for personal use, are prohibited. 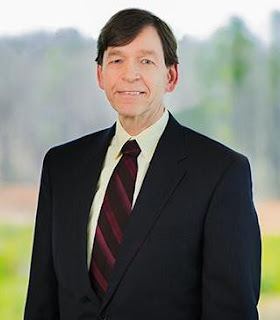 Benji Jones is a partner at the Ward and Smith law firm with extensive experience in representing companies in exempt and non-exempt securities offerings. Feel free to reach out directly to the author with questions or comments. Why Are State Crowdfunding Laws Still Useful Now That Federal Crowdfunding Has Arrived? May 16th, 2016 was a notable day for the investment crowdfunding community. After 4 long years, the SEC finally allowed Title III of the Federal Jobs Act, called 'Regulation Crowdfunding', to go into effect. This is the section of the Federal Jobs Act that allows non-accredited retail investors to invest in startups and small businesses. Now, for the first time since 1933, everyone can invest in securities issued by private companies within the limits defined by Title III and the SEC regulations about it. So why do we still need State laws and regulations about intrastate investment crowdfunding exemptions like the NC PACES Act? Crowdfunding expert and securities attorney Jim Verdonik makes the case. Why Are State Crowdfunding Laws Still Useful After Federal Crowdfunding? The SEC's Regulation Crowdfunding became effective on May 16, 2016. Unaccredited investors can now invest in offerings on investment platforms. There are now four new Federal Crowdfunding exemptions that allow you to advertise offerings. Having so many new Federal capital-raising alternatives raises the question: Do we still need state crowdfunding laws? State Crowdfunding laws are needed for reasons that have little to do with technical legal rules. • People like the idea of investing in their neighbors' businesses. • People like reinvesting in their own communities. This should come as no surprise. People like to buy fresh locally grown fruits and vegetables. People like to drink local craft beers. People like to root for their local high school or college team even though professional athletes are bigger, faster and stronger. People like local live concerts by musicians who don't have a national audience. Collectively, we call these things our local culture. Laws that make it difficult to create a healthy local culture are bad, but that is what securities laws have been doing for decades. Securities laws divert money away from local communities to international money centers. State Crowdfunding laws that legalize platforms that are limited to local businesses simply help investors find the local investment opportunities they want. State Crowdfunding laws are the equivalent of state run farmers markets. They bring together local buyers and sellers in an identified safe place. Isn't it foolish for state government to get in the way of people building and investing in their local communities? Why should it be easier to invest in a business that is halfway around the world than one that is in the next town? State securities regulators have been underutilized for the past two decades, because most securities offerings use Federal exemptions that preempt state laws that require offerings to be reviewed by state securities administrators. The old state regulatory system is so antiquated that people almost always choose to avoid it, if they can. The surprising thing about state Crowdfunding laws is that the biggest proponents of state Crowdfunding laws should be people who want to increase state regulation of securities offerings, because state Crowdfunding offerings are reviewed by state securities regulators before businesses can sell securities. Why would anyone think that regulators reviewing securities offerings would put investors at risk? Of course, modern state securities regulation requires both carrots and sticks. The old saying is that: "You can lead a horse to water, but you can't make it drink." That's the way securities modern laws work. You have to have carrots to entice businesses to use the state system. These carrots primarily involve offering alternatives to some of the imperfections of the Federal Crowdfunding laws we discussed below. If the four new Federal Crowdfunding laws were perfect, then most business would refuse to enter the state crowdfunding system. But who ever heard of a perfect law? • Rule 506(c) does not allow sales to non-accredited investors. • SEC rules and review processes for both Tier 1 and Tier 2 Regulation A offerings are both expensive and time consuming. • Tier 2 of Regulation A and Regulation Crowdfunding impose ongoing reporting requirements on issuers that are expensive and may harm their ability to compete by making public information their competitors can use against them. • Tier 1 of Regulation A does not pre-empt state registration laws. • Regulation Crowdfunding allows you to raise only $1 million per year. • Regulation A and Regulation Crowdfunding have expensive financial statements requirements beyond the normal securities rules about disclosing material facts. • Allow unaccredited investors to invest, unlike SEC Rule 506 (c). • Are much cheaper to comply with than SEC Regulation A. • Allow businesses to raise more than $1 million, unlike Regulation Crowdfunding. 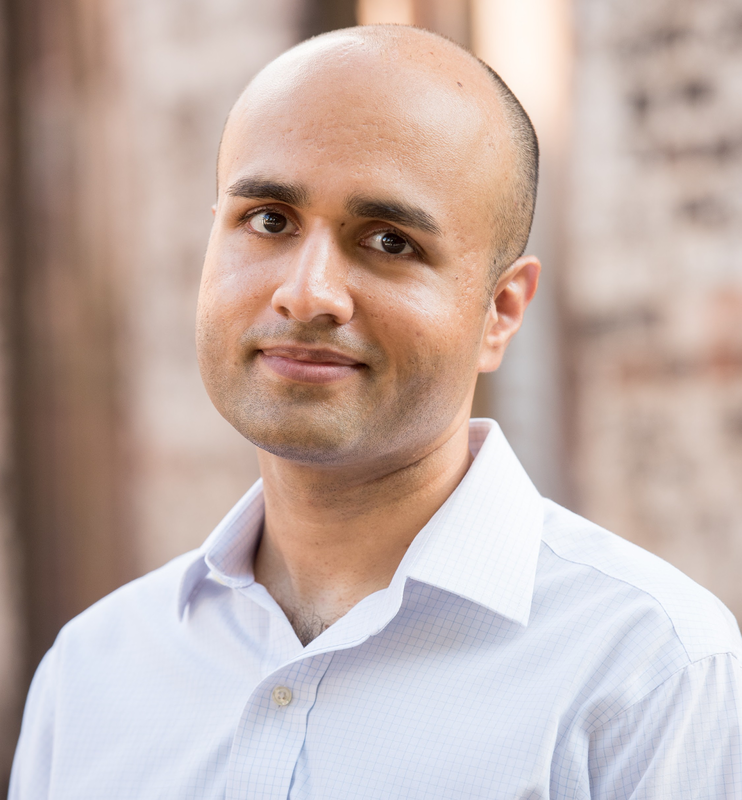 • Allow businesses to make greater sales efforts outside a technology platform to attract investors to their offering, unlike Regulation Crowdfunding. • Have greater flexibility than Regulation A or Regulation Crowdfunding for businesses to give investors the types of financial statements that smaller businesses actually prepare to use to run the businesses. In summary, most businesses will use the Federal Crowdfunding exemptions, but there are good reasons to add state Crowdfunding to the list of capital-raising choices. You can read Jim's original post here. I've always been fascinated by the unintended consequences of tools. Toolmakers often start out trying to achieve a specific goal, but when people start using the tool they sometimes find that its useful for many other purposes. Crowdfunding illustrates this point. Designed as a capital-raising tool, we are just beginning to see some of the many socio-economic effects. In researching my book Crowdfunding Opportunities and Challenges (Thompson Reuters), I found early statistics showing that Crowdfunding makes it easier for women entrepreneurs to raise money. The Crowdfunding success rate of 52% for women was higher than the 39% success rate for men. Women were also getting higher valuations. But the men also benefitted. Crowdfunding success rates and valuations are higher for both men and women compared to traditional capital-raising. So, Crowdfunding is a rare win-win solution. I note these Crowdfunding statistics were based on only one large Crowdfunding platform – CircleUp. But even assuming the statistics are not representative of all platforms, something startling seems to be going on in the Crowdfunding world. Crowdfunding's designers probably didn't know they were unleashing a force that could close the capital-raising gender gap, but that may be just one of the big unintended consequences. So, what's going on Online? Why is this happening? One thing is that CircleUp attracts a lot of consumer products entrepreneurs and investors. It has very few technology plays dominated by engineers and Silicon Valley nerds. Maybe Crowdfunding is like the investor version of Home Shopping Network. Will Home Shopping Network seize the opportunity to become an investment marketplace too? Successful Crowdfunding offerings use videos and social media to generate investor interest. Seeing the actual product and how consumers use it is probably a better selling tool than trying to describe a new software product or medical device. Each investor in Crowdfunding deals usually invests a smaller amount per investor than traditional capital raising deals. The Crowd seems to love giving small amounts to women entrepreneurs. The beauty of Crowdfunding is that small amounts from lots of people can create big wads of cash for entrepreneurs. 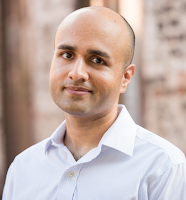 It will be interesting to see whether the same holds true for minority entrepreneurs. Wouldn't it be amazing if one of the unintended consequences of this new Crowdfunding tool achieved what all the conferences, articles and laws that focus on closing the gender gap couldn't to? Just think of all the time and money spent going in the wrong direction. When you are lost in the forest, having a good sense of direction matters more than having good intentions. This raises a question: Why has it taken so long for Crowdfunding to come? Neither the technology nor the business model is really new. Crowdfunding is just selling something on the Internet. People have been doing that for decades. Why didn't we close the gender gap twenty years ago? The answer, of course, is that securities laws made Crowdfunding illegal until recently. So, we have the strange situation that the same Government that promotes gender equality made it illegal to use a tool that may outperform all Government programs designed to create equality. This brings us to my home state - North Carolina. More than 30 states have legalized Crowdfunding, but North Carolina is still sitting on the sidelines watching. It's time to pass the NC PACES ACT that will legalize state Crowdfunding in North Carolina. Bob Dylan said: "Get out of the way if you can’t lend a hand." That's a good motto for Government to live by every day. Ronald Reagan said: "Mr. Gorbachev tear down that wall." The times won’t be changing if we don't tear down the walls Government builds. If two very different leaders like Dylan and Reagan both agree, then why does North Carolina still have a legal wall between entrepreneurs and investors? Mother's Day is a few days away. So, for Mother's Day 2016, how about giving the Mothers of North Carolina what they really need: Crowdfunding to grow their businesses. Your Mom would be so proud of you if you do. Who knew your Mom would turn out to be such a free market Libertarian? See the post on Jim's blog here. Since the passage of the Federal JOBS Act, the industry has shown that these new exemptions are a great way to finance startups, small businesses, and real estate among others. This new financial industry is up and running strong, and it is time for North Carolina to join in by passing the NC PACES Act. "As an early advocate for the JOBS Act, I firmly believe it has largely been a success. The purpose of the JOBS Act, signed into law April 5, 2012, is to promote capital formation for small businesses, IPO-ready companies, and everything in-between. There are seven titles in the Act. Though rarely attended to, Title II which allows general offer and solicitation for private placements, and Title IV, which increases the size and flexibility of Regulation A offerings, are, in fact, the most impactful provisions of the JOBS Act." Click here for Nick's full post. "One of the questions I get asked most often is “how does the new Illinois crowdfunding exemption compare to the available Federal level crowdfunding options?” I love getting this question as it gives me a chance to really show why the new Illinois crowdfunding exemption is such a workable option. However, given the many subtle nuances between the various options it’s often hard for people to visualize exactly where the similarities and differences really are. To make this visualization easier, I decided to create a handy-dandy comparative summary chart …. wasn’t that nice of me?" Please click here to see Anthony's full post and download the excellent comparative chart he created. The NC PACES Act will provide North Carolina small businesses with the option to raise equity and debt financing using a very similar intrastate investment crowdfunding exemption. This is part 2 of a 2 part post on the five myths of investment crowdfunding. Part 1 is here. Myth #3: Will Regulation Crowdfunding make all other paths redundant? No. There is no one-size-fits-all exemption. Issuers may have many different objectives that impact which path is best. Just look at the offering caps – companies can only raise $1 million per year under Regulation Crowdfunding. That might be too low. So companies may need to consider alternate paths to raise a larger amount of capital. Local crowdfunding exemptions may provide access to a larger amount. Currently, SB481 (NC PACES) would permit companies with reviewed or audited financials to raise up to $2 million in a 12-month period. Regulation A increases those caps to as much as $50 million in a 12-month period; Rule 506 has no cap. Despite the lower offering thresholds, some issuers may be drawn to the Regulation Crowdfunding or local crowdfunding statutes for the marketing bonus – harnessing the “crowd” to promote an enterprise can be an extremely powerful tool and added bonus for some issuers. Alternatively, other companies will require more sophisticated investors, preferring to target only accredited investors through Rule 506 or structure a hybrid offering under Regulation A. Regulation Crowdfunding simply opened up another avenue for companies to pursue capital, but it is unlikely to become a roadblock for pursuing other options. Myth #4: Are all investors created equal? Understand the costs and benefits associated with accepting money from investors who may lack experience in making investments in private companies (where securities have to be held for an indefinite period of time and there is no public market for secondary sales). Their tolerance for risk or their expectation of how long they should have to wait before they are able to get a return on their investment may be different. The value they may add to a business enterprise may not be the same as the “super wealthy” experienced investor. Will your investors be easy to manage and communicate with or will they require extensive hand-holding? It’s important to understand the pros and cons of taking an investment from anyone – before making the offer. Note also --- you may need to verify who is an Accredited Investor. Rule 501 of Regulation D currently defines “accredited investor” to generally include: (1) banks and other large entities; (2) executive officers and directors of the issuer; and (3) high net worth individuals who have earned income that exceeded $200,000 (or $300,000 together with a spouse) in each of the prior two years, and reasonably expects the same for the current year, or who have a net worth over $1 million, either alone or together with a spouse (excluding the value of the person’s primary residence and any loans secured by the residence (up to the value of the residence)). You cannot always check the box to confirm this status. This is of particular importance in Rule 506(c) offerings (which involve general solicitation), when an issuer needs to “verify” that each purchaser is accredited. There are services issuers can hire to do this, and there are principled approaches to undertaking the verification independently, but the SEC has indicated that just getting an investor to “check the box” isn’t one of them. You will also need to stay abreast of changes in the accredited investor definition. The SEC has been actively examining this definition (as required every four years pursuant to the Dodd-Frank Wall Street Reform and Consumer Protection Act). In December 2015, the Staff released a detailed report analyzing the current definition and making certain recommendations for modifying it. The Staff’s recommendations touched on ways to adjust the financial threshold requirements (such as keeping the current thresholds but applying investment limits or creating new inflation-adjusted thresholds) and adding categories of accredited investors based on measures of sophistication not currently contemplated (such as a minimum investment threshold, professional credentials, etc.). It will be important to monitor these changes and to be prepared to explain to clients how these changes might impact their choices. Myth #5: Can companies “go it alone”? Maybe. In many instances an issuer is not allowed to conduct an offering without the use of a portal or intermediary. Practically speaking, it also might not be prudent to try to conduct the offering without using one. It just depends on what path or exemption will be used. In a nutshell: an issuer must use a crowdfunding intermediary (either a registered funding portal or a registered broker-dealer) under Regulation Crowdfunding. The same may be the case for local crowdfunding exemptions, but it will depend on the rules that apply to a particular jurisdiction. Although companies are not required to use an intermediary for Regulation A offerings, they may want to engage some kind of listing platform or broker-dealer to help market the deal if they want to raise a significant amount of money (say over $10 million). Accredited Investor offerings are kind of a hybrid. Theoretically, companies could advertise their offerings independently under Rule 506(c), but many larger deals are conducted through platforms (AngelList, Equity Shares, Funders Club, CircleUp, etc.) that structure direct investments and syndicated investments in companies and facilitate verification when general solicitation is involved. But remember . . . not all portals are created equal. Companies (and their advisors) need to carefully diligence who to use to help with the offering. Offering portals are potentially regulated as investment advisors and as broker-dealers. They may also be structuring transactions in a way that implicates the Investment Company Act of 1940. Portals will need to comply with specific regulations imposed upon their activities (like under Regulation Crowdfunding). The overlapping nature of these regulations is complex, and it is important to find an operator that understands how these regulations impact what it can and cannot do as well as what it must do. We are just now finding out who is registered as a funding portal – take a hard look at them. Understand how platforms charge fees, whether they conduct diligence on offerings, whether they structure transactions or provide form documents. Do they have experience in other forms of online offerings? What is their track record? Can they provide verification of accredited investors or are they simply a bulletin board service? Are they a registered broker-dealer or working with one? Read the fine print and the FAQs on the portal’s website. Look for the regulatory disclosures to assess how they operate (or if they even know that there are compliance issues to address). Use the Internet to assess the reputation and success of different portals. See what bloggers are saying about the landscape. Do the diligence before engaging a partner or commencing an offering and then work with your client to determine what best serves its needs. This is part 1 of a 2 part post on the five myths of investment crowdfunding. Part 2 is here. Crowdfunding is hot. According to a report released by Massolution, the crowdfunding industry raised $16.2 billion worldwide in 2014, and that amount was expected to double during 2015. But what does it mean? How does it work? Is it easy to do? This article provides a brief overview of the various paths to conduct an investment crowdfunding offering and shines light on some common investment crowdfunding “myths” and misconceptions. Crowdfunding is a method of raising money to fund a project or venture using the Internet. An entity or individual raising funds through crowdfunding typically seeks small individual contributions from a large number of people. A crowdfunding campaign generally has a specified target amount of funds to be raised and an identified use of those funds. With donation-based crowdfunding, a venture accepts monetary “donations” with no consideration returned (other than recognition). Similarly, in a rewards-based crowdfunding campaign, a venture accepts monetary “contributions” in exchange for some kind of incentive, recognition or promotional gift. These types of campaigns have become popular through the use of Kickstarter, Indiegogo, GoFundMe and other platforms. Investment crowdfunding, however, is when a company offers investors a share of financial returns or profits generated from business activities being financed. Sometimes this is also referred to as “equity” crowdfunding, but that concept is too narrow. These types of offerings aren’t limited to stock or ownership interests in a company. They can also cover debt and royalty streams as well as other kinds of securities and investment contracts. Does the campaign involve the offer and sale of a “security”? The key distinction is whether the campaign involves the offer and sale of a “security,” which triggers regulation under federal and state law. An investment crowdfunding campaign is much more challenging from a regulatory perspective because it triggers a complex web of federal and state securities regulation. The Securities and Exchange Commission (the SEC) identifies eight separate federal statutes (plus related rules and regulations) that govern the securities industry. Each state (including jurisdictions like Washington, D.C. and Puerto Rico) also regulates the offer and sale of securities through local “blue sky” laws. On the federal level, the two primary regulatory schemes are established by the Securities Act of 1933, as amended, and the Securities Exchange Act of 1934, as amended. Section 5 of the Securities Act makes it unlawful to offer and sell securities without first registering them with the SEC, unless the offering falls within an exemption from those registration requirements. The Exchange Act (which is the principal source of reporting obligations for public companies and regulates the secondary trading of securities in the United States) also includes broad anti-fraud provisions, imposing liability for material misstatements and omissions made in connection with the offer or sale of securities. Generally, each state also requires registration, unless an exemption is available. The states also impose anti-fraud liability. More recent legislation like the Jumpstart Our Business Startups Act of 2012 (the JOBS Act) and certain provisions of the Fixing America’s Surface Transportation Act of 2015 have created new pathways for conducting exempt offerings outside of the traditional private placement exemption. Federal and state laws also regulate broker-dealer activities, investment companies and investment advisors, all of which can be implicated by investment crowdfunding. This article will not discuss all of the technical requirements imposed by these regulations. Of course, these details are of critical importance, and anyone who intends to advise clients on investment crowdfunding will need to carefully read and study the related statutes and regulations. But it would be too hard to cover everything in this article. Instead, in an effort to shine some light on some common misconceptions and “myths” about investment crowdfunding, this article will focus on the big picture and practical realities involved here. MYTH #1: All crowdfunding is the same. • the types of disclosures that may be required. In addition, in some instances, certain types of issuers are prohibited from relying on an exemption. For instance, companies that that file reports under the Exchange Act and certain investment companies cannot use Regulation A or Regulation Crowdfunding. • Accredited Investor Crowdfunding – These types of offerings rely primarily on the “private placement” exemption found in Rule 506(c) and, in specific situations, Rule 506(b) of Regulation D. There is no limit on the amount of money a company can raise but only “accredited investors” can participate. Typically, there are no mandated disclosures although issuers usually provide investors some information about the issuer, its operations and the offering. • New Regulation A (as amended by Title IV of the JOBS Act and commonly known as “Regulation A+”) – While there are limits on the amount a company can raise in a 12-month period under new Regulation A ($20 million under tier 1 and $50 million under tier 2), generally anyone can invest (sometimes subject to caps). Issuers submit a detailed disclosure document (including audited financial statements for tier 2 offerings) to the SEC (and, with tier 2 offerings, applicable state regulatory agencies) for review and comment, and issuers engaged in tier 2 offerings typically will be required to comply with on going reporting requirements. But companies can advertise the offerings and, in some instances, will be able to “test the waters” before making any formal filings with the SEC. • Regulation Crowdfunding – Under the new Section 4(a)(6) exemption established by Title III of the JOBS Act, companies can utilize the Internet to conduct investment crowdfunding campaigns to raise up to $1 million in a 12-month period. Generally, anyone can invest, irrespective of their sophistication or net worth (subject to caps); however, issuers are extremely limited in the manner in which this offering can be conducted. Issuers must use either a SEC registered “funding portal” or registered broker-dealer to conduct the offering and must prepare (and file with the SEC) specific disclosure materials (including audited financial statements, in some circumstances) and must comply with on going reporting requirements once the offering is complete. Funding portals and broker-dealers operating under Regulation Crowdfunding are subject to numerous regulations dictating activities they are required to undertake, as well as those that they are prohibited from undertaking, in connection with an investment crowdfunding offering. • Local Crowdfunding Exemptions – Many states have established procedures where local companies can conduct exempt investment crowdfunding offerings. These exemptions are established by statute or rule on a state by state basis and are typically structured to rely on the intrastate offering exemption (Section 3(a)(11) and/or Rule 147 of the Securities Act) or the limited offering exemption under Rule 504 of Regulation D. North Carolina has yet to pass such legislation, although a bill structured in reliance upon the intrastate offering exemption may be taken up in the short session this spring . Typically, there are limits on the amounts an issuer can raise. It varies between $1 million and $2 million, and there is a push to raise these thresholds to $5 million. Typically, anyone can participate, subject to investment caps. Issuers prepare specific disclosure documents (including audited financials in certain circumstances) to be filed with local regulators and may be subject to on going reporting requirements once the offering is concluded. Can’t companies use Kickstarter or Indiegogo to sell securities? At last check, no. Neither of these platforms have adopted programs to enable investment crowdfunding campaigns on their platforms . . . but they might do so in the future. What if what this issuer is offering isn’t a “security”? Don’t be fooled. The Securities Act has a broad definition of what it deems to be a security: stock, ownership interests, units, partnership interests, promissory notes, bonds, options, warrants, royalty streams, investment contracts . . . if it involves giving money to someone else to manage with the expectation of profits, you’ve usually got a security. Aren't some companies are too small to be regulated? This is just plain not true. Every issuer – irrespective of its size, age or value – must comply with federal and state securities laws. Aren't some offerings are too small to be regulated? Again, not true. An offering of any amount is subject to regulation. There are no de-minimis exceptions. MYTH #2: Now that we have the JOBS Act, . . . anyone can invest in offerings (not just the “super wealthy”). Conceptually yes, this is true. But, in practice, it depends on how the offering is structured and which exemption a company wants to use. The JOBS Act aims to reduce capital raising restrictions currently faced by many companies, both by loosening regulations governing private securities offerings and by easing the road to public securities offerings for so-called “emerging growth companies.” However, it achieved these goals in highly complicated regulatory fashion. Some parts of the JOBS Act make it easier for people who are not “accredited investors” to invest in offerings; for instance, Title IV created new Regulation A, which increased the amount of money an issuer can raise in a “mini-public offering” (which can include “retail” investors, sometimes subject to a cap) to up to $50 million. Title III of the JOBS Act created “Regulation Crowdfunding,” which established the structure for true “investment crowdfunding” offerings similar to campaigns we see on Kickstarter and Indiegogo where anyone in the “crowd” can participate (subject to caps). But Title II of the JOBS Act, which eliminated the ban on general solicitation in Rule 506 and Rule 144 offerings, only permits accredited investors to participate. And . . . companies can freely advertise offerings?? No. They cannot. Just because aspects of the JOBS Act permit the use of general solicitation and advertising, or the use of the Internet, to reach investors does not mean there are no rules to follow. And the rules surrounding what issuers can say, and when, are complex. For instance, under new Regulation Crowdfunding an issuer cannot advertise its offering over the Internet or really make any other kind of public announcement about its offering (other than through a very short press release). The issuer must use a registered funding portal or registered broker-dealer to conduct the offering. Although an issuer can advertise much more freely under the Rule 506(c) exemption, it must be prepared to verify that all of the purchasers are accredited investors. In any event, an issuer should not just go off and advertise an offering without careful planning. It needs to determine which rules apply and then follow them – or the company risks busting its exemption and having to scrap or delay an offering (or even worse, needing to conduct a recession offering to try to “clean up” the problem).
. . . they can even “test the waters” without risk? Testing the waters is the idea that, before making a lot of costly and time-consuming regulatory filings, an issuer can preview the terms of a specific offer to assess market reaction. If there is positive reaction, then the issuer moves forward with the more complicated aspects of the offering, but, if there isn’t market acceptance, the issuer can stop and reassess its options. In the investment crowdfunding world, the test the waters concept can clearly be used in new Regulation A offerings and, conceptually, in Rule 506(c) offerings. But it is not risk free and it is definitely complicated. There are two primary things to keep in mind. First, there is no clear path to testing the waters under state regulations. Some states do not permit a company to test the waters at all while others require companies to file the materials before first use. So, if state regulation isn’t preempted, it can be hard to navigate the process in an offering that might be conducted in multiple states (which seems hard to avoid when utilizing the “world wide web” to test the waters). Next, companies will have anti-fraud liability on the materials used to test the waters and typically would need to file the materials used to test the waters with regulators. This can impact the content of the materials used to test the waters and requires careful planning and control of the process. And, with the JOBS Act, we can ignore state “Blue Sky” regulation? Again – absolutely not. The degree to which the states can regulate an offering depends upon what path a company is pursuing. Some exemptions (like intrastate offerings or Rule 504 offerings) depend on local rules and regulations. In addition, not all federal exemptions preempt blue sky regulation. Preemption generally applies to (1) Rule 506 offerings, (2) Regulation Crowdfunding offerings and (3) tier 2 Regulation A offerings (although there is an ongoing lawsuit that challenges federal preemption of tier 2 offerings). Even with preemption, the states typically can require notice filings and the payment of fees. They also impose anti-fraud liability on offerings. Companies will also need to be cognizant of any state broker-dealer and sales person regulation that may apply to preempted offerings. If you have questions or comments, you may contact Benji by email at: benjisblog@smithlaw.com. The content contained on this blog does not provide, and should not be relied upon as, legal advice. It does not convey an offer to represent you or establish an attorney-client relationship. All uses of the content contained in this blog, other than for personal use, are prohibited. Chicago attorney Anthony Zeoli has put together a very interesting analysis of how investment crowdfunding exemptions like the NC PACES Act and Federal Title III can significantly increase the investor pool in the real estate markets. "To date, most crowdfunded investment opportunities have been limited to wealthy investors who meet the current definition of “accredited investor.” This has left an absolutely HUGE market of potential investor capital, represented by those individuals who currently do not qualify as accredited investors, virtually untapped. However, with the increasing number of viable intrastate crowdfunding regulations (*cough*… Illinois), as well as significant broadening changes potentially being made to the current definition of accredited investor in the near future, more investor capital than ever before is set to enter the private placement market. Of the classes of crowdfunding investments that will gain from this potential influx of new investor capital, real estate crowdfunding is certainly at the top of the list." 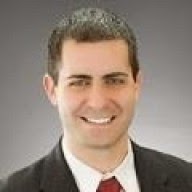 Anthony J. Zeoli is an experienced finance and business attorney practicing in Chicago and the Chicagoland area. His primary areas of practice include securities/crowdfunding law, banking and commercial finance law, real estate law and general corporate law. He also led the successful effort to create the intrastate crowdfunding exemption in Illinois. Local entrepreneurs often think it's so much easier to raise money in California. But crowdfunding success rates raise questions about the theory that geography determines capital raising destiny. Crowdnetic.com reported third quarter 2015 success rates for issuers in the five highest volume states as follows: Illinois 29.7%; Florida 27.9%; Texas 26.7%; California 26.4% and New York 22.6%. But success rates don't determine the volume of success. Because California had 50% of offerings in the big five states and Illinois (with the highest success rate) had only 6% of offerings, many more California businesses obtained funding. If the odds of success don't always predict the volume of economic activity, is willingness to try and fail a key ingredient to success? Do you remember last month's $1.5 Billion lottery? Looking at Crowdfunding statistics reminded me of the lottery, because they demonstrate that you can't win if you don't play the game. Of course, choosing the game you play also has a big effect on winning and losing. The odds of winning the lottery are about one in a trillion. The lottery isn't a capital-raising plan, because the odds are so high and after you decide to play, you really can't affect the outcome. Traditionally, businesses have banged on the doors of venture capital funds to raise capital. But everyone knows that each venture fund only invests n few of the thousands of business plans it receives each year. The venture industry as a whole publicizes how many businesses it funds, but the industry doesn't publish how many businesses tried to raise money and failed. The venture capital success rate is better than the lottery, but not as high as entrepreneurs would like. Crowdnetic's statistics demonstrate that the odds of raising capital through crowdfunding are a little better than 25%, which beats both the venture capital industry and the lottery. The other thing about crowdfunding is that it's a transparent industry. Everything is online. It's relatively easy to find out information compared to funding from institutions. Information is the tool you use to plan your capital-raising campaign. Apparently, companies in the Western United States think the 25% odds are worth playing the game, because the West leads the other regions of the country in both the number of total offerings and the amount of capital raised. That raises the question: Why would so many western businesses play the crowdfunding game, if all they have to do to raise capital is to walk down to their local Starbucks and leave with millions from all the venture capital fund managers drinking their latte Macchiato Grandes. Venture capitalists have long proclaimed that California has so much venture capital, because California has more entrepreneurs and California entrepreneurs know how to play the game better than in other places. They certainly play the game more often. That was the traditional venture capital game. The question now is: Will the rest of the country sit idly watching California switch from venture capital leadership to crowdfunding leadership? If they do, they'll get no sympathy from me when they complain about California entrepreneurs getting all the money. You decide which game you want to play, but shouldn't using the Internet to be in contact with investors all over the country help entrepreneurs in states with less venture capital more than it does entrepreneurs in states with a lot of local venture capital? This blog post was also published in Triangle Business Journal. Jim Verdonik is an attorney with Ward and Smith, P.A. in Raleigh. He can be reached at jfv@wardandsmith.com. Jim's newest book is a very valuable handbook for entrepreneurs, attorneys, investors, and crowdfunding industry professionals called Crowdfunding Opportunities and Challenges.